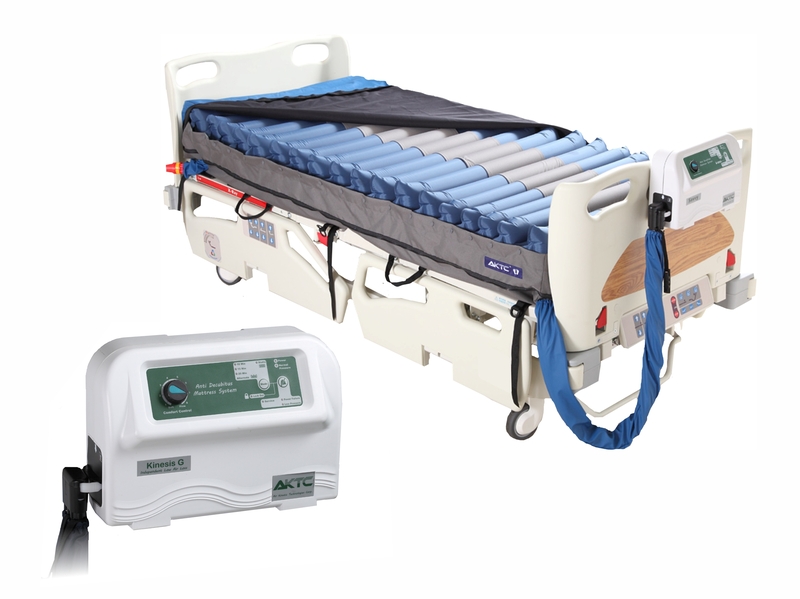 The Savvy Series dynamic mattress overlay or replacement system provides effective therapy with reliable high quality TPU coated nylon air cells or high quality, pliable, shear force reduced TPU-ether air cells for pressure ulcer prevention. 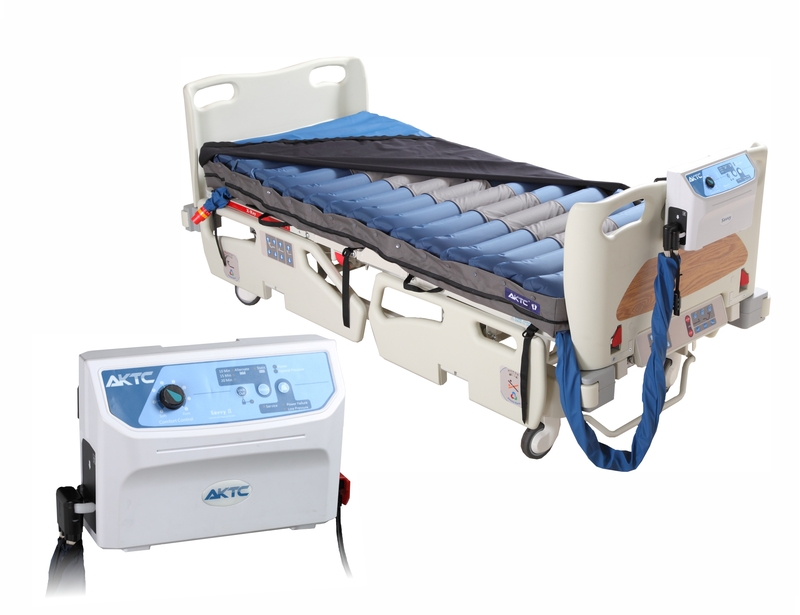 The 4” or 5” mattress overlay or 8” mattress replacement with our mechanical, semi-digital, or digital pumps is ideal for patients at medium to very high risk of pressure ulcer development. The Savvy-160 is a simple easy-to-use 7.0L mechanical pump dynamic mattress overlay system. The mechanical pump has static and alternate modes as well as a visual low pressure indicator to insure patient’s safety. The Savvy-120 is an advanced multi-functional microcontroller programmed 7.0L semi-digital pump dynamic mattress overlay system. The semi-digital pump has 20 minutes static mode and alternate mode with selectable cycle time. To insure patient’s safety, the pump has audiovisual low pressure, power failure, and service alarms. 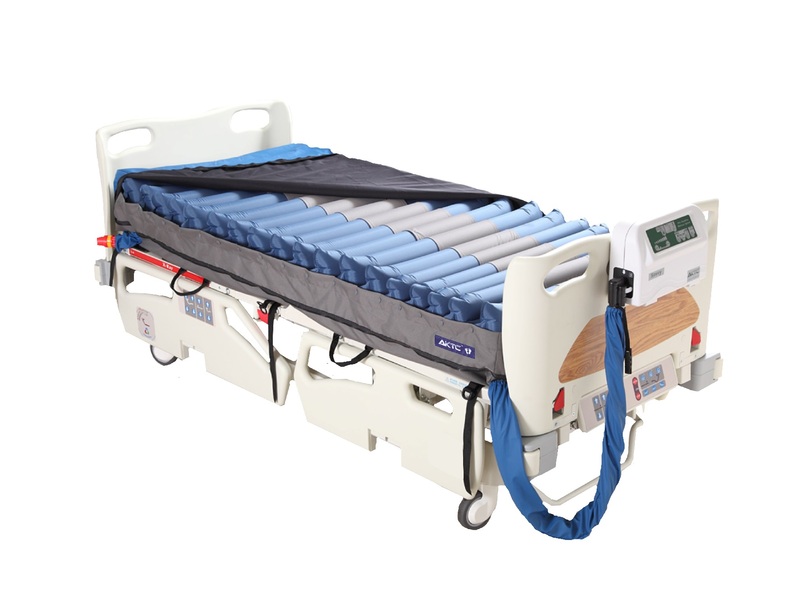 The Savvy-140 is an advanced multi-functional microcontroller programmed 9.0L linear compressor semi-digital pump dynamic mattress overlay or replacement system. The semi-digital pump has 20 minutes static mode and alternate mode with selectable cycle time. To insure patient’s safety, the pump has audiovisual low pressure, power failure, and service alarms. The Savvy-200 is an advanced multi-functional microcontroller programmed 9.0L linear compressor semi-digital pump with a detachable power cord dynamic mattress overlay or replacement system. The semi-digital pump has 20 minutes static mode and alternate mode with selectable cycle time. To insure patient’s safety, the pump has audiovisual low pressure, power failure, and service alarms. The Savvy-130 is an advanced multi-functional microcontroller programmed 9.0L linear compressor digital pump dynamic mattress overlay or replacement system. The digital pump has a precise digital pressure transducer which is able to reduce the power wattage once the pressure is reached therefore it is the most quiet, power efficiency, and extended lifetime pump. The digital pump has 20 minutes static mode, alternate mode with selectable cycle time, auto-firm mode, and auto-detection mode. To insure patient’s safety, the pump has audiovisual low pressure, power failure, and service alarms with error code. 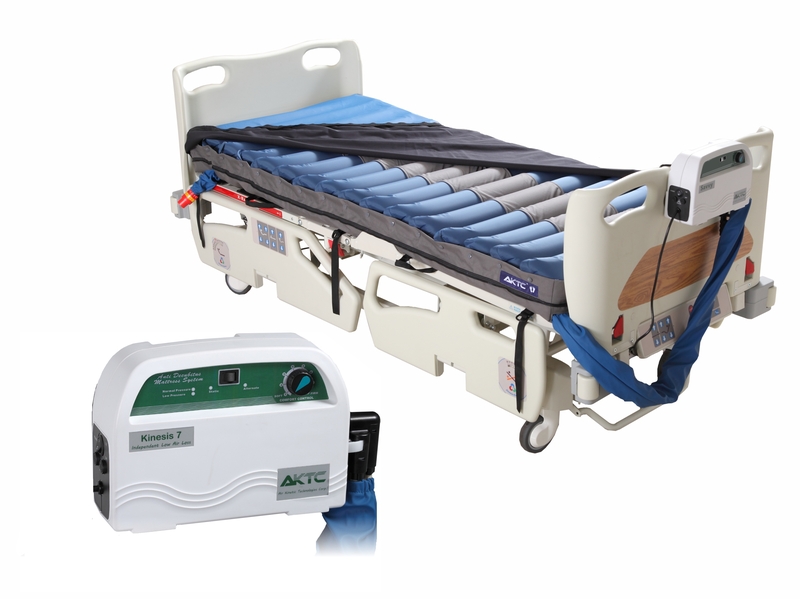 The Savvy-150 is an advanced multi-functional microcontroller programmed 9.0L linear compressor digital pump dynamic mattress overlay or replacement system. The digital pump has a precise digital pressure transducer which is able to reduce the power wattage once the pressure is reached therefore it is the most quiet, power efficiency, and extended lifetime pump. The digital pump has 20 minutes static mode, alternate mode with selectable cycle time, auto-firm mode, auto-detection mode, and an optional fowler detector. To insure patient’s safety, the pump has audiovisual low pressure, power failure, and service alarms with error code. The Savvy-210 is an advanced multi-functional microcontroller programmed 9.0L linear compressor digital pump with a detachable power cord dynamic mattress overlay or replacement system. The digital pump has a precise digital pressure transducer which is able to reduce the power wattage once the pressure is reached therefore it is the most quiet, power efficiency, and extended lifetime pump. The digital pump has 20 minutes static mode, alternate mode with selectable cycle time, Constant Low Pressure (CLP) mode, auto-firm mode, auto-detection mode, and an optional fowler detector. To insure patient’s safety, the pump has audiovisual low pressure, power failure, and service alarms with error code. 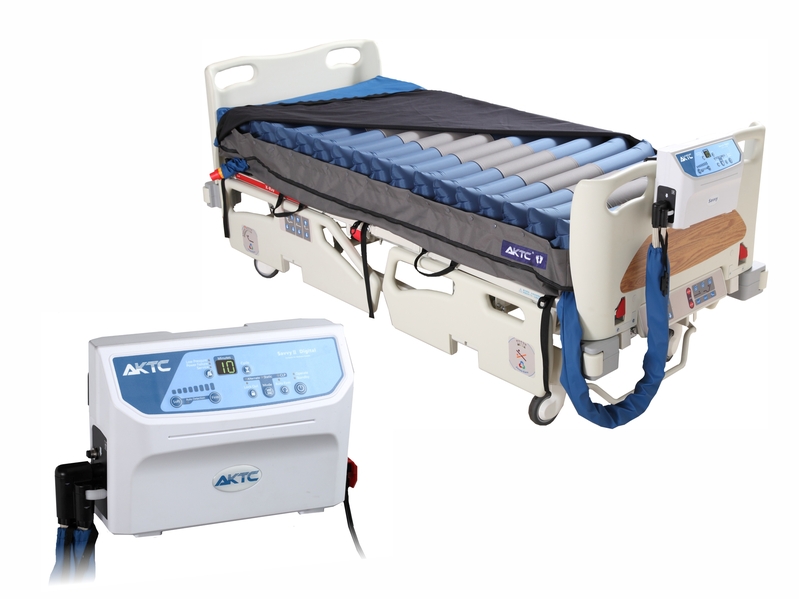 AKTC © Air Kinetic Technologies Corp.